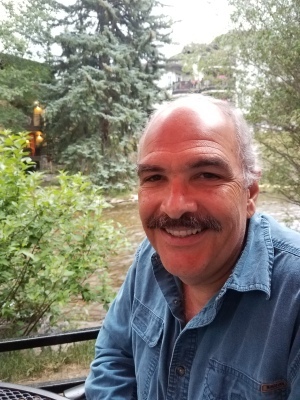 Thomas C. Claret, 62, of Parker, CO, passed away on March 30, 2019 at his home in Parker, CO. He was born on November 11, 1956 in El Paso, TX. In 1979 he received his Bachelor's in Chemical Engineering from the University of Oklahoma. Thomas belonged to the Loyal Knights of OW Trusty at Oklahoma University. He worked as a Chemical Engineer for Conoco, Conoco Phillips and Phillips 66. On April 20, 1997, he married Rachel Claret on Lookout Mountain in Golden, CO. Together they raised their four sons, Jakob, Ryan, Ari and Evan. A Funeral Service will be held at Parker Funeral Home Inc. 10325 Parkglenn Way, Parker, CO 80138. He is survived by his wife, Rachel, Parker, CO; sons, Jakob, Houston, TX, Ryan, Ari and Evan, all of Parker, CO; sister Sally (Bob) Garrity, Colorado Springs, CO; and brother, Guy (Cala) Claret. He was predeceased by his parents, Charlie and Anna Claret. Memorial donations may be made to sockittomesockcampaign.org which provides socks to the homeless.